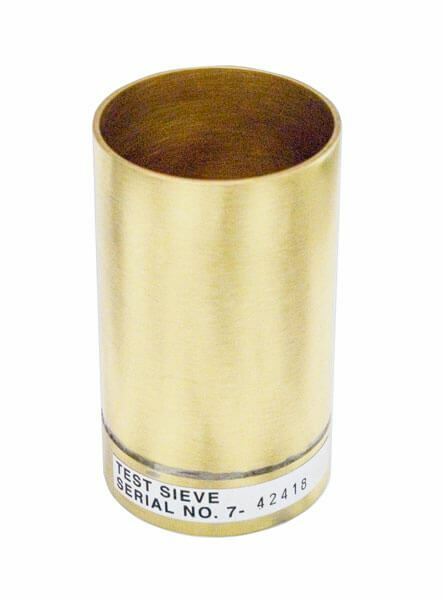 Fineness of Hydraulic Cement Test Sieve - Gilson Co.
WT-23ESB Fineness Test Sieve is a one-piece brass frame with No. 325 stainless steel wire cloth. The 2in (50.8mm) dia. frame is 3in (76.2mm) deep from rim to cloth, and can be verified to ASTM E11 Calibration or Inspection Grade. User-calibration is required with BS-50 No. 114 NIST Portland Cement.